Only a couple months to go and I’m in full baby prepping mode. All I want to do is get baby stuff and clean my house! Oh and I realized I never announced here that we’re having a BOY! I’m super excited because that will give us two boys and two girls. So perfect, right? Unfortunately, that means that little baby boy has nothing to wear. On a day that I had decided I was no longer having any more kids, I got rid of all of the baby boy stuff… ALL of it! 🙁 Gotta do some shopping, I guess. 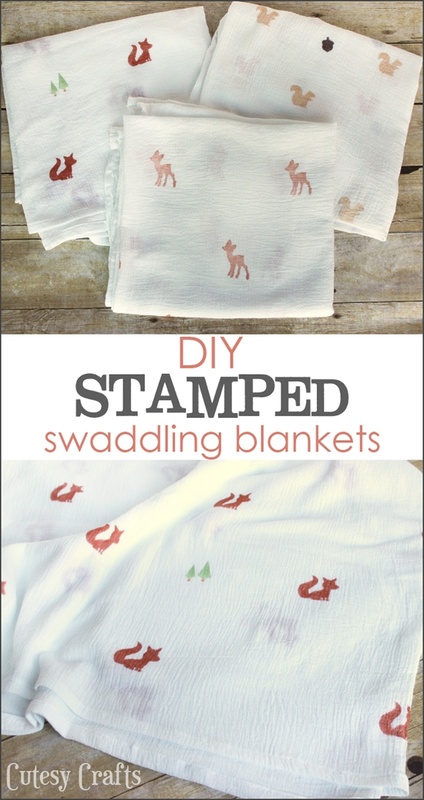 I stamped the blankets with some woodland-themed stamps that I made myself! Yep, that’s right, I made them!!! 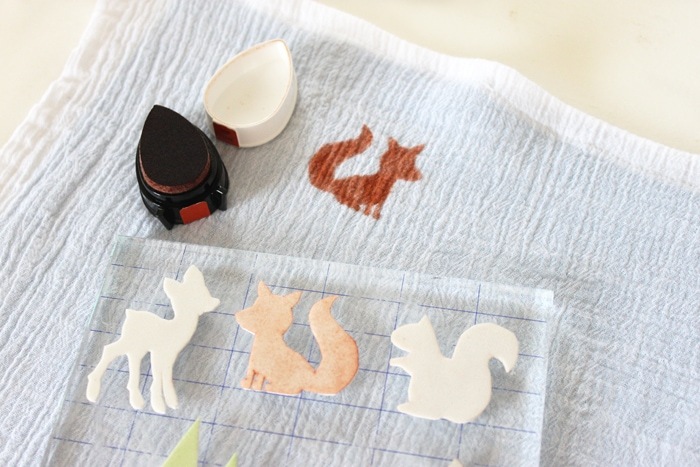 Stay tuned for a tutorial on that (edit: click here for the stamp tutorial). It’s really easy to do. Oh, and do the shapes look familiar? 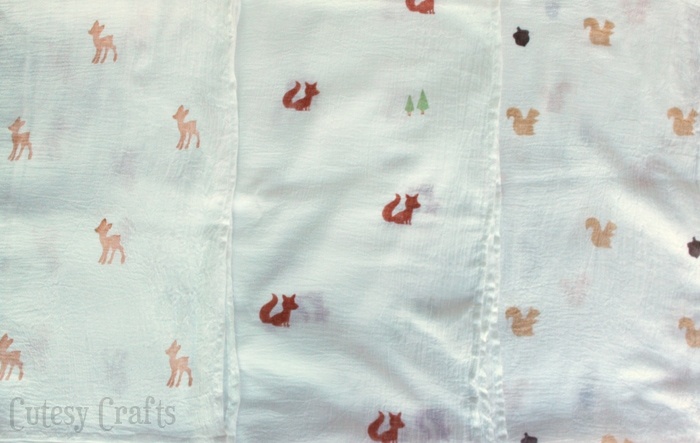 They’re the same animals I used for my felt deer and fox ornaments and fabric lacing cards. 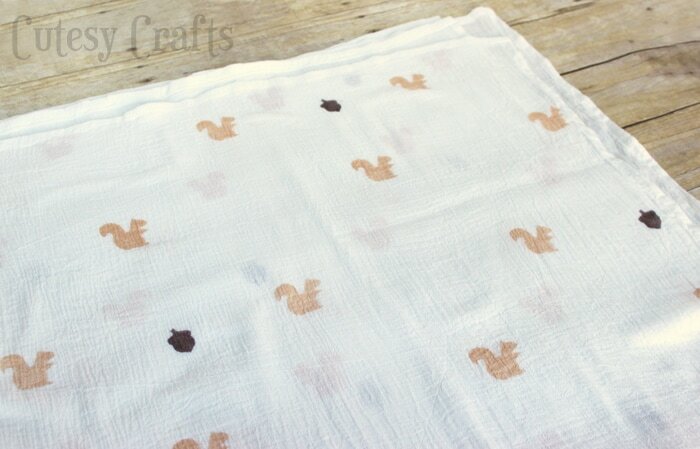 …or the squirrels with the acorns better. I found the gauze fabric in the same section as the linen in JoAnn’s. They had a cream color and the white color that I chose. Make sure to bring a coupon to use if it’s not already on sale! First thing to do is wash your fabric. It will get really wrinkled and bunch up, so iron it a little before cutting. I cut each blanket about 45 inches square. Honestly, I probably could have done just a yard (36 inches) for each one, and it would have been just fine. I was just going off of what the store-bought blanket dimensions are. All I did to make the blankets was cut out a square, and hem all of the sides. Don’t worry about ironing to get the hems perfect. Just roll about 1/2 inch and roll again 1/2 inch as you are feeding it through your sewing machine. If you have a serger, you could even just serge all of the edges. Super easy. 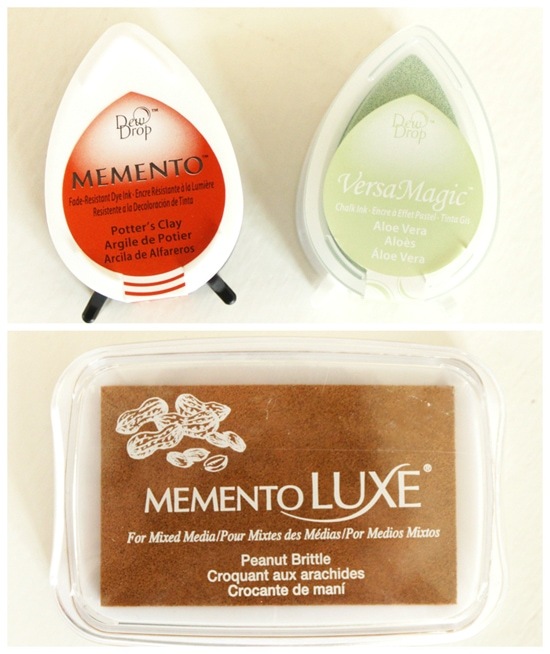 You’ll want to use ink or paint that is labeled for use on fabric. Fabric paint will give you a more vibrant look. I wanted something really soft though, and sometimes fabric paint can feel a little scratchy. I’ve used these inks to stamp fabric before, so I know they work well. Any brand that says you can use it for fabric should do the trick, just make sure to read the back. Even this brand makes some ink that isn’t for fabric. This ink does fade a little after multiple washings, but that’s ok with me. You can pretty much use any kind of stamp. I would suggest something that isn’t super detailed so you don’t loose the design in the wrinkles of the fabric. Again, I’ll get back on here soon with a tutorial to make your own stamps. 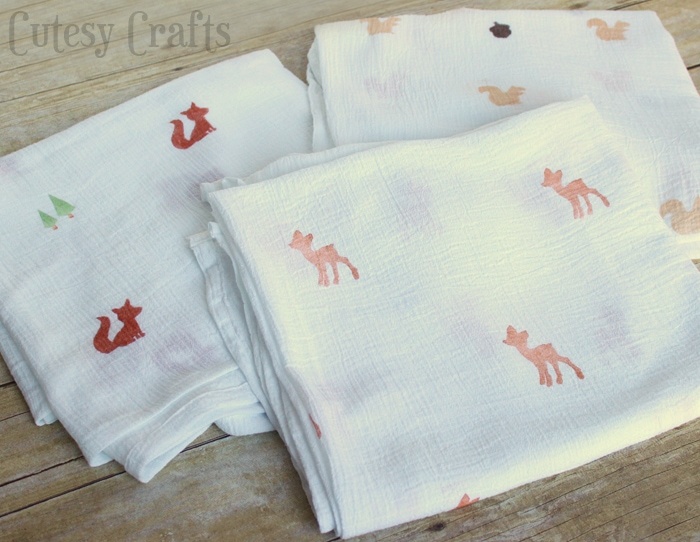 Put something under your blanket to protect the table, and stamp away! I tried to make a bit of a pattern, but you could also just stamp randomly. I put my plastic cutting board under the blanket to help me line everything up because I am slightly OCD. Make sure to practice on some fabric scraps first to get the amount of ink and pressure right. Oh, and don’t be a dummy like me and drop the entire ink pad on the blanket. 🙁 I’m still hoping if I don’t heat set that part that it will wash out. And finally, iron over the ink to heat set it. This will help keep the ink from fading when you wash it. Do the same thing if you used paint. I was hoping to save a little mulah by making these myself. Turns out good old Walmart sells the blankets now, so I didn’t really save anything by DIYing them, but I bet the ones from Walmart aren’t made with love! I can’t wait for our little boy to come so I can use these (and because I’m WAY over being pregnant). I’ve still got some more fabric, so I think I’ll whip up some more. Ooh, maybe I’ll try dying some different colors. So many possibilities! Love these! And I immediately thought matching gauze skirts for Mom and Daughter, Siblings etc. Maybe even a simple little tunic for boys and men, matching of course. I just hope I can manage skirts with appropriate modesty linings. I haven’t sewn in 30 years. I hope I haven’t lost my skills. I’m not at all confident! Thank you for sharing! Never thought of making skirts with the gauze. What a great idea! Yeah, you’d definitely need some sort of lining for it. You can do it! There are tons of youtube videos to help with sewing now. Love your forest animals pattern for stamps. Tried it today and it came out pretty well I think ??? Yay! You’re welcome. So glad it worked out for you! Did you have any fading with any of your colors? I have never stamped fabric before and don’t think I will do it much in the future. So I don’t want to spend much. Curious since you used different inks. It faded a little, but the designs are definitely still there. I just did this the other day and well… It didn’t work ?. 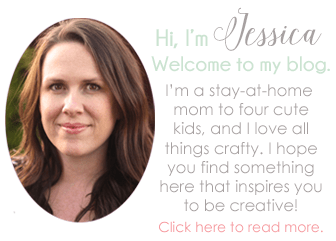 Completely washed out… So I started looking onpinterest and found this! I even used the same ink as you. So couple of questions, how long did you iron it for? And do you wait until ink is completely dry or still wet? Prob dumb questions but I’m a newbie to this kind of stuff ? Oh no!!! This brand makes several different types of ink. Are you sure you are using ones that say they are for fabric? I ironed each spot for probably like 10 seconds. 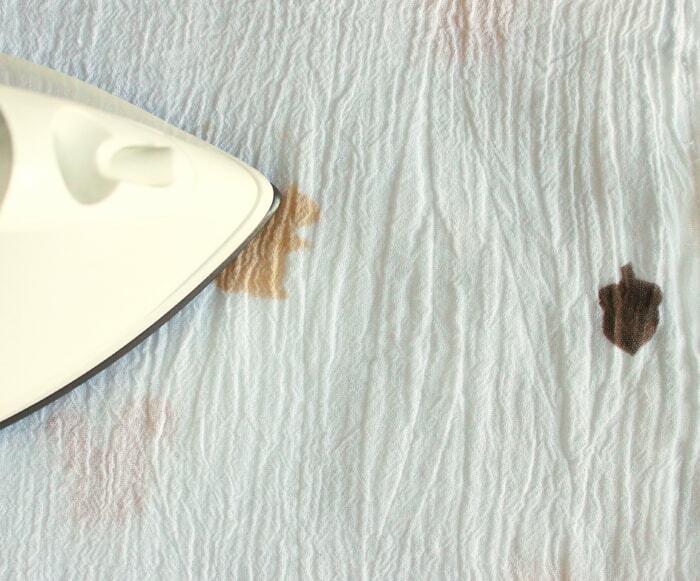 Wait until the ink is dry before ironing. 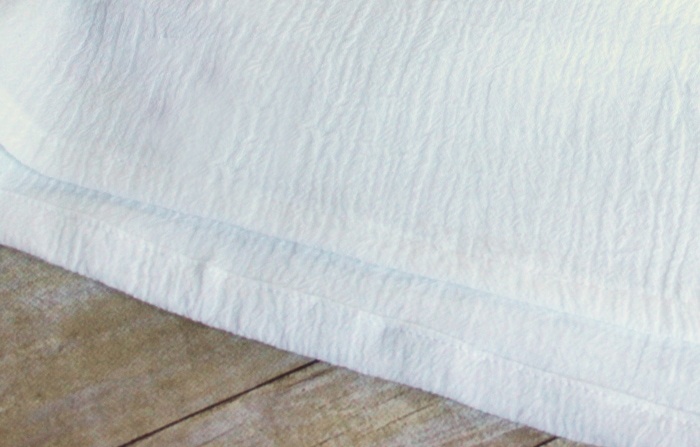 For good measure, you might even want to try throwing the blanket in the dryer for a while before washing to really heat set it. Hope that helps! Yeah ink is for fabric, I’ll try it again! ?? And I was using bamboo muslin… Maybe it doesn’t work on that. Thanks for the reply!! Oh yeah, that could be it. Maybe you need the cotton. Good luck! 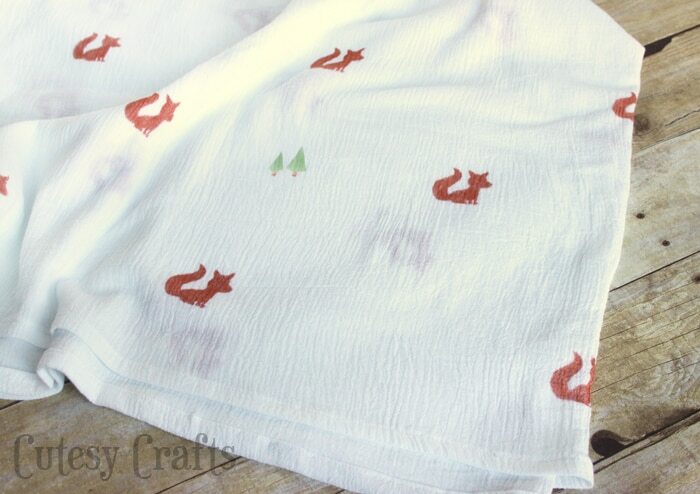 I am thinking of sewing a muslin to make a milestone blanket. I’m worried about the shrinking. How did you pre wash the fabric. Some people say it frays a lot also, and I should sew it first then wash. What do you think. It’s been a while, but I’m sure that I prewashed it just regular in my washing machine. I think I remember it fraying a bit, but I just cut off the edges. Sorry I can’t be more help. I would definitely use a softer linen than the stuff at Joanns if you can find it.